There is an adequate number of smart classrooms in the department. Smart classrooms are equipped with new technologies such as LCD Projectors, OHP and other complimentary teaching aids. It is well ventilated for better air circulation & temperature regulation. It effectively utilises the natural light for illumination. The Department library has a strong collection of textbooks with over two hundreds of titles on a variety of topics. 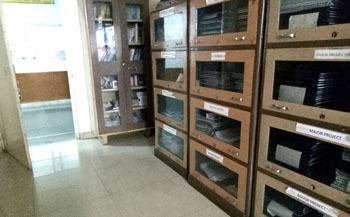 Library also possesses journals, magazines, project and seminar reports, lab manuals and question banks and CDs of e-journals and e-books. The students are allotted a special hour in a week wherein, they sit in the library and read the topics of their requirements, interestingly some of the good students also. We provide various facilities to make live projects so that our students can excel in their respective fields and get practical exposures. There is a complete in-house set of facilities in the form of additional components, apparatus, training models and teachers’ assistance to achieve this task. This practice raises the confidence of the students’ and also has them to think for the higher qualification such as Gate exams and appearing boldly before society. In our institute, we focus on the personal bonding of teacher and students. 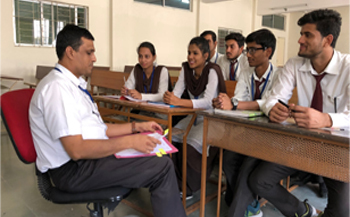 For this purpose we have teacher guardian system in our institute through which student s are free to discuss their issues with their TG’s and TG’s can also give various information to their students. In free hours faculty members focus on every single student in all aspects. Sometimes, in different teaching classes students left with few doubts, we have kept a provision that such students can contact related faculty members and solve their problems.